In 1990, Peru was looking for a president with a vision for strong economic reform that would end the country’s long-lasting hyperinflation. Alberto Fujimori started on the campaign trail with a populist rhetoric that criticized the economic shock tactics advanced by the conservative presidential candidate Mario Vargas Llosa. After winning by a narrow margin in a runoff election, Fujimori quickly instituted the same austerity measures he constantly criticized while campaigning. His policies—commonly known as “Fujishock”—were successful in bringing inflation down to normal levels but at the cost of massive layoffs and increased suffering for the poor. One of the measures undertaken by President Fujimori to decrease poverty levels was forced sterilization. Initially, President Fujimori’s efforts to make family planning resources available to Peruvian women were globally lauded as a historic step for women’s rights. As details of the scheme emerged, however, the underlying eugenic intent, coercive nature, and sometimes-deadly mechanisms were laid bare. Fujimori faced harsh criticism both for these objectives and for targeting Peru’s most marginalized group with forced sterilization: indigenous and illiterate women. A recent Peruvian investigation, opened in response to this outcry, exonerated President Fujimori. The prosecutors found insufficient evidence to prove that government workers, and thus Fujimori, forced women to undergo sterilizations. The prosecution also stated that neither Fujimori nor his health ministers were responsible for the deaths caused by the sterilizations, because the deaths were the result of improper medical procedures over which government officials had no control. This article argues that the investigation’s findings are insufficient, and that President Fujimori is guilty of crimes against humanity under Article 7 of the Rome Statute of the International Criminal Court. In 1985, Peru adopted the National Population Policy Law (“NPPL”), which sought responsible free choice in childbearing and provided all Peruvians a right to complete health protection. The NPPL established that both couples and individuals should receive information, health services, and contraceptive services in order to make informed family planning decisions. In Article IV, however, the NPPL specifically prohibited voluntary sterilization and abortions. For many years, the NPPL had no major effects—that is, until President Fujimori amended it to allow for sterilization. Alongside this change, the government began publicizing the sterilization method to the exclusion of other options. There is a geographical divide in Peru that serves as a buffer between the predominantly affluent, Spanish-speaking people living in the coastal urban centers where most of the political power is concentrated, and the highlands, where the poor, Quechua-speaking indigenous people reside. This divide continues to foster the view that indigenous women are second-class citizens. When Fujimori first took office in 1990, he instituted a birth control policy under the pretense of bringing equal contraceptive access to the entire population. High inflation and a lack of public funding were predominant during the early years of Fujimori’s presidency, and Fujimori quickly discovered the inverse relationship between economic growth and population growth. With a strengthened cabinet after his 1995 reelection, Fujimori was able to take on the strong Catholic values of his country-which banned modern birth control methods-and change the NPPL to allow for sterilization as a means of birth control. In devising a forced sterilization policy that systematically targeted rural areas where mostly poor indigenous women reside, President Fujimori violated the human rights of his nation’s most vulnerable citizens. Article 7(1) of the Rome Statute of the International Criminal Court (“Rome Statute”) prohibits crimes against humanity when perpetrated in a “widespread or systematic attack against any civilian population[. ]” Subsection (g) specifically prohibits “enforced sterilization.” Article 7(2)(a) states that the civilian attacks must be made “pursuant to or in furtherance of a State or organizational policy to commit such attack[. ]” Additionally, under Article 4 of the Draft Articles of State Responsibility for Internationally Wrongful Acts, a person who exerts executive functions of the state in violation of international law will be held responsible for those acts. 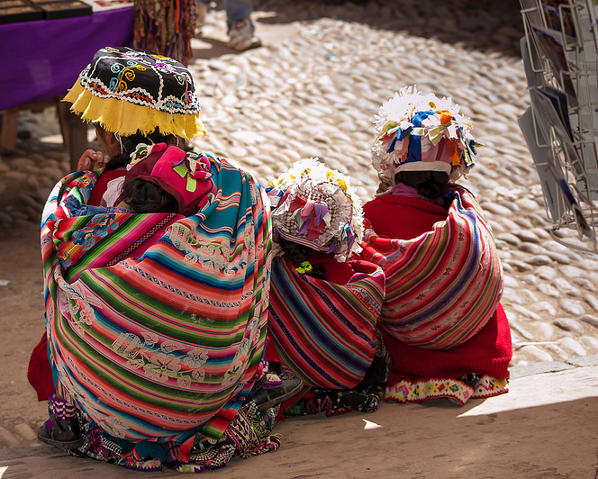 In this instance, the Peruvian government targeted poor indigenous women to commit the crime of enforced sterilization in an effort to achieve the policy of reducing income disparity and unemployment levels. After an inquiry by the Comision Interamericana de Derechos Humanos, the Peruvian judicial system reviewed the allegations of forced sterilization in the country. Prosecutor Marco Guzman declared that President Alberto Fujimori and his cabinet would not be prosecuted for crimes against humanity. Guzman found no evidence that Fujimori ordered the forced sterilization of poor indigenous women, and thus could not impute the acts of the medical professionals on Fujimori. Counter to the prosecution’s findings, sufficient evidence exists to charge Fujimori with human rights violations. The sterilization policy specifically targeted “the low-income, indigenous women at the margins of society.” Fujimori had not been able to reign in the high poverty and unemployment levels, and as a result, faced strong international and domestic pressure about the growing disparity in income levels. To alleviate the poverty and unemployment levels, Fujimori changed the NPPL to focus on demographic control. The rationale was that with fewer dependents, poor families could invest more in each child, which would improve economic conditions. The government targeted “poor, disenfranchised women with little or no formal education[,]” – mostly the indigenous women of the highlands. With this demographic focus, government officials set up annual goals and quotas for the number of sterilizations, which doctors had to meet in order to obtain payments and receive promotions. If doctors failed to meet these quotas, they risked losing their job. The combination of rewards and consequences pressured doctors to perform as many procedures as possible. These coercive circumstances often led to accidents and negligence, as doctors had to operate on as many as twenty women per day. The quick turnaround forced the doctors to shorten recovery times to below what was normally necessary. Furthermore, the NPPL did not provide for any follow-up treatments; if complications arose, women had to seek medical care at their own expense. With these policies, the government deliberately targeted those women most marginalized by society. The Rome Statute does not define “enforced sterilization.” However, scholars describe it as the deprivation of one person’s reproductive biological capacity when the deprivation is not justified by medical or hospital treatment of the person or the person’s genuine consent ­–that is, consent free from deception. Since the deprivation of reproduction did not arise out of the need for medical or hospital treatment, but rather as a campaign for family planning where health professionals resorted “to aggression, intimidation and humiliation[,]” the element of genuine consent on the part of the woman is absent. Health professionals resorted to outright coercion by often requiring patients to undergo sterilization as a condition to the distribution of food and clothing aid, or by threatening the women with fines or imprisonment if they refused the procedure. Additionally, medical professionals held out sterilization as the only method available for birth control, without informing patients of the risks and consequences of the surgeries, and thus not obtaining genuine consent from them. Thus, the element of enforced sterilization can be established. Peru’s history shows a strong desire to advance women’s rights through effective use of family planning methods. However, the human rights violations perpetrated by Fujimori were a result of his desire to improve the economy of his country by sacrificing women’s rights. Thus, he targeted citizens who were less likely to have a voice in government and less likely to fight back: poor, indigenous, illiterate, Quechua-speaking women. He instituted a set of government policies to effectively decrease that population in favor of economic indexes. The victims of this abuse deserve recourse against Fujimori and Peru, and the International Criminal Court provides this forum. Citation: Oscar Lopez, Peru: Sterilizing the Poor as an Economic Measure, 2 Cornell Int’l L.J. Online 36 (2014). * Oscar Lopez is a J.D. candidate at Cornell Law School, where he is the Cornell International Law Journal’s Associate on South American Affairs and a Managing Editor. He holds an M.B.A. from Texas Tech University and a B.A. in economics and Spanish from the University of Texas at Austin. See Alberto Fujimori, Encyclopedia Britannica http://www.britannica.com/EBchecked/topic/221549/Alberto-Fujimori, (last visited Mar. 8, 2014). See Emilee Gaebler, Thousands of Forced Sterilization Cases Reopened in Peru, Impunity Watch (Nov. 14, 2011), http://impunitywatch.com/?p=21794. See Brita Schmidt, Forced Sterilization in Peru, Political Environments #6 (Fall 1998), available at http://www.cwpe.org/node/49. See Gaebler, supra note 5. See Rachel Chase, Government documents show that Fujimori knew about forced sterilizations, Peru This Week (Jan. 30, 2014), http://www.peruthisweek.com/news-government-documents-show-that-fujimori-knew-about-forced-sterilizations-102118. See Peru’s National Population Policy Law, 11 Population and Development Review 789, 789–88 (Dec. 1985). See James N. Gribble, Suneeta Sharma, & Elaine P. Menotti, Family Planning Policies and Their Impacts on the Poor: Peru’s Experience, 33 International Family Planning Perspectives 4 (Dec. 2007), available at http://www.guttmacher.org/pubs/journals/3317607.html. See Peru’s National Population Policy Law, supra note 11. See David Morrison, Cutting the poor: Peruvian sterilization program targets society’s weakest, 8 Population Research Institute 2 (Mar. 1998), available at http://www.pop.org/content/cutting-poor-peruvian-sterilization-program-targets-societys-weakest#endnote_ref-1. Jocelyn E. Getgen, Untold Truths: The Exclusion of Enforced Sterilizations from the Peruvian Truth Commission’s Final Report, 29 B.C. Third World L. J. 1, 5–6 (2009). Rome Statute of the International Criminal Court art. 7, 2187 U.N.T.S. 90. Draft Articles on the Responsibility of States for Internationally Wrongful Acts art. 4, 53 U.N. G.A.O.R. Supp. (No. 10) at 43. See Schmidt, supra note 6; see also Morrison, supra note 14. See Pierre Meilhan & Ben Brumfield, Peru will not prosecute former President over sterilization campaign, CNN (Jan. 25, 2014 2:03 AM), http://www.cnn.com/2014/01/25/world/americas/peru-sterilization/. See Mario Mejia, Fiscalia exculpa a Fujimori y ex ministros por esterilizaciones, El Comercio (Jan. 24, 2013, 16:10), available at http://elcomercio.pe/politica/justicia/fiscalia-exculpa-fujimori-y-ex-ministros-esterilizaciones-noticia-1704982. See Getgen, supra note 16, at 11. See Anna-Britt Coe, From Anti-Natalist to Ultra-Conservative: Restricting Reproductive Choice in Peru, 12 Reproductive Health Matters 56, 61 (2004). See Schmidt, supra note 6. See Dianne Luping, Symposium, Prosecuting Sexual and Gender-Based Crimes Before International/ized Criminal Courts, Investigation and Prosecution of Sexual and Gender-Based Crimes Before the International Criminal Court, 17 Am. U.J. Gender Soc. Pol’y & L. 431, 480–81 (2009). See Getgen, supra note 16, at 11–12. 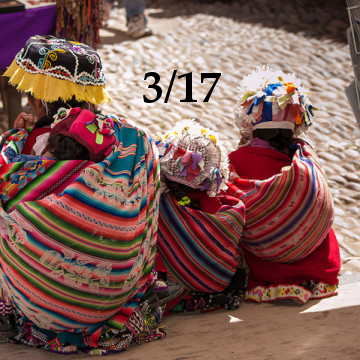 See Carlos Caceres, Sexual and Reproductive Rights Policies in Peru: Unveiling False Paradoxes, in Sexpolitics: Reports from the Front Lines 140 (Richard Parker et al. eds., 2006); see also Amnesty Int’l, Peru: The Truth and Reconciliation Commission—A First Step Towards a Country Without Justice, AI Index AMR 46/003/2004, 1, 20 (Aug. 2004). Comite de America Latina y El Caribe Para La Defensa de Los Derechos de la Mujer & Ctr. For Reprod. L. & Pol’y, Silence and Complicity: Violence Against Women in Peruvian Public Health Facilities 63-64 (1999). Previous Article The Abolition of Presidential Term Limits in Nicaragua: The Rise of Nicaragua’s Next Dictator?